Happy Sizdeh Bedar to all my Persian/ Iranian/ Middle-Eastern brothers and sisters! The new year's cleanse is finally complete and we didn't even have to drink that stupid cayenne pepper/lemon juice/honey mixture! Illustration by me from the "Niko's Nifty Nowruz" series. I was recently commissioned to make a logo for a French travel blog. Here is a side by side of the sketch I liked best with the final vector image. 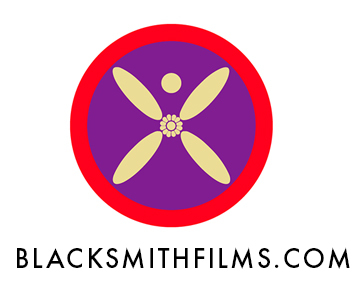 After much procrastination, Blacksmithfilms.com is finally live! Thanks to Squarespace for making the designing pain minimal. Will do my best to keep the blog updated with happenings and projects. A place to spend your time mulling over business problems, examining opportunities, exchanging rumors and spreading gossip.